It was all for a picture. He dreamed of photographing the Arctic's most iconic animal, the polar bear, in its natural habitat. It was a seemingly simple plan: Haul a 22-foot fishing boat northeast a few thousand miles, launch, and shoot the perfect polar bear photo. After an inauspicious start and endless days spent driving to the end of northern Canada's road system, he backed his C-Dory, C-Sick, into a small tributary of Hudson Bay. Battered by winds and plagued by questionable navigation, Paul slowly motored C-Sick north in the hopes of finding the melting summer ice that should be home to more than a thousand polar bears. He struggled along for weeks, grounding on rocks, hiding from storms, and stopping in isolated Inuit villages, until finally, he found the ice and the world was transformed. The ice had brought hundreds of walrus into the bay and dozens of polar bears arrived to hunt and feed. For a few magical days, he was surrounded by incredible wildlife photo ops . He was hooked. 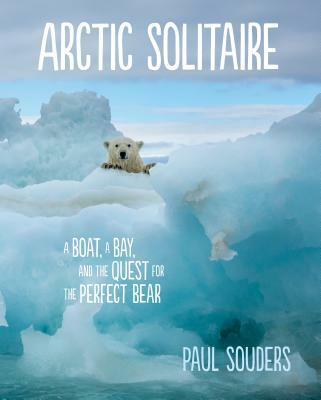 A hilarious and evocative misadventure, Arctic Solitaire shares Paul Souders exploits across four summers, six hundred miles of a vast inland sea, and the unpredictable Arctic wilderness--and also offers an insightful look at what compels a person to embark on adventure. The accompanying images of the landscape, people, and wildlife of the remote Hudson Bay region are, in a word, stunning.